“At the beginning, we did not understand much of what it was to join a movement of women and the importance of what we were supposed to learn from it. Women who served the Lord as missionaries in the 40s kept calling us to join. 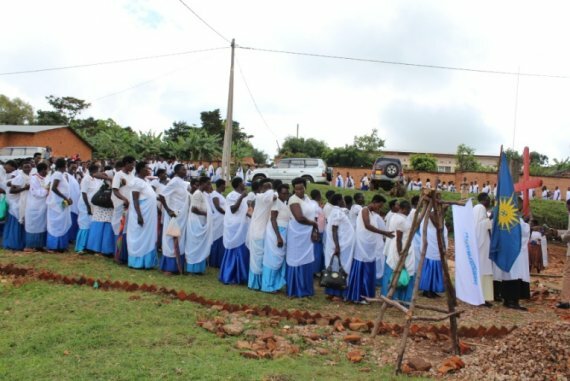 Since the time we have enrolled our life has completely changed and we now bear marks of Mothers’ Union in our hearts”, said 83 years old Mrs. Marcienne Wimana a passionate member of Mothers’ Union. From 1948, Mothers’ Union Burundi has played a key role in transforming individuals, families and communities by equipping women with basic skills required for their daily responsibilities. The first programmes on which the movement focused were the sharing of the Good News of Christ, weaving, sewing and cooking. “We had been taught how to look after the members of our families and the Gospel we heard has transformed our lives so that our reputation within communities was such that many women from every corner and different denominations joined the program. Some of them joined the Anglican Church and then became members of Mothers Union. That‘s how the movement kept growing”, says 86 years old Emilienne Mudende. Mothers’ Union has been at the forefront of tackling illiteracy in Burundi through its Literacy and Development Programme that has been an unprecedented success. Now the Literacy and Financial Education Programme is facilitating the setting up of small businesses and the management of savings and assets. Advocacy has been an important part of Mothers’ Union's contribution as it has engaged with social issues, among them gender based violence. Their contribution to the education of children and economic development, and their commitment to end gender based violence is something that members of Mothers’ Union can be proud of. This August Mothers’ Union will be celebrating 70 years of service to families, Church and country. 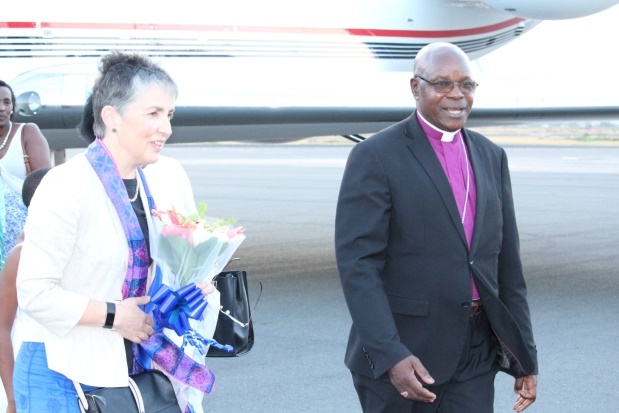 The Archbishop of the Anglican Church of Burundi along with the Bishop of the Diocese of Bujumbura and the wives of Bishops of different Dioceses recently extended a warm welcome to Mrs. Caroline Welby the wife of the Archbishop of Canterbury. The visit provided an opportunity for shared times of prayer and fellowship with the wives of the Bishops in their role as Presidents of Mothers’ Union in their respective dioceses, as well as training on issues of peace building and reconciliation. The Anglican Church of Burundi is managing different projects related to holistic development and positive results are evident due to the fact that the varied approaches have been set up to ensure success and sustainability. 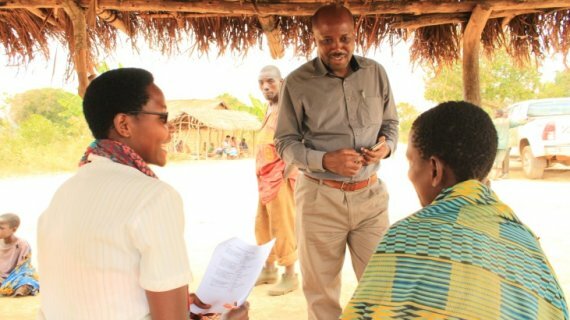 By working closely with community members the Church is looking for behavioral change regarding an end to gender based violence and mismanagement of natural resources, an improvement in food security and community health, more commitment to the protection of the environment, and peace building. One of the key strategies that have so far produced an impact is giving a voice to communities to express opinions on the challenges they face daily and to suggest solutions to issues. The outcome of regular meetings and discussion with community members enable the Anglican Church of Burundi to respond adequately to the need of the population and to develop a common understanding of sustainable development with beneficiaries of the projects. Respecting human dignity and the image of God in every human being was the main theme for discussion by Churches from Africa during the week of the 11th General Assembly of the All Africa Conference of Churches (AACC). Representatives from 45 countries of Africa gathered in Kigali, Rwanda to think together about how the Church in Africa should contribute strongly to respecting the dignity of people in Africa. It was clear from different presentations that political instability and insecurity, poverty, human trafficking, and gender based violence have affected many people. The Churches were recommended to make extra efforts in advocacy in order to bring about change. The AACC committed to collaborate with the African Union so that recommendations given by its members are on the AU Agenda 2063, a strategic framework for the socio-economic transformation of the continent over the next 50 years.